An international Life Sciences Forum “Life Sciences Baltics” has encouraged international communication, increased the interest in opportunities to make contacts in science and innovation areas. 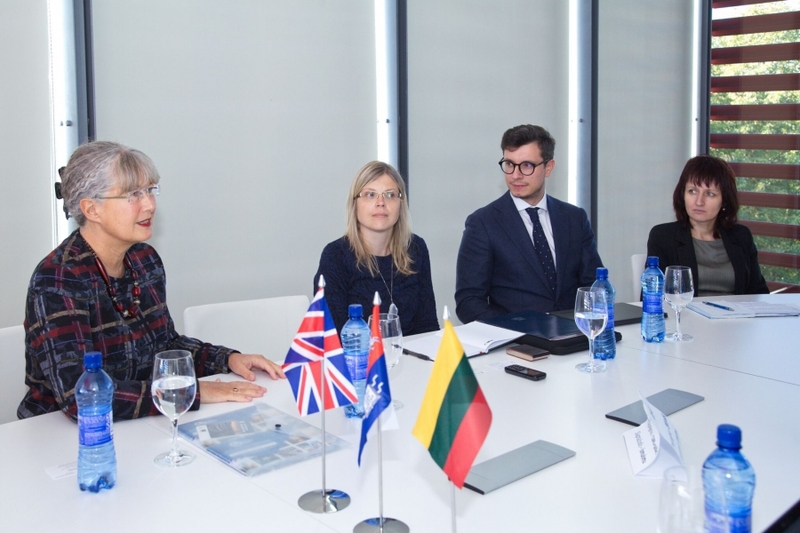 Prior the beginning of the Forum, on 25 September, an honorable guest from the United Kingdom Prof. Jacqueline Oldham from Manchester University (UK) paid a visit to the Lithuanian University of Health Sciences (LSMU) and Kaunas Clinics. 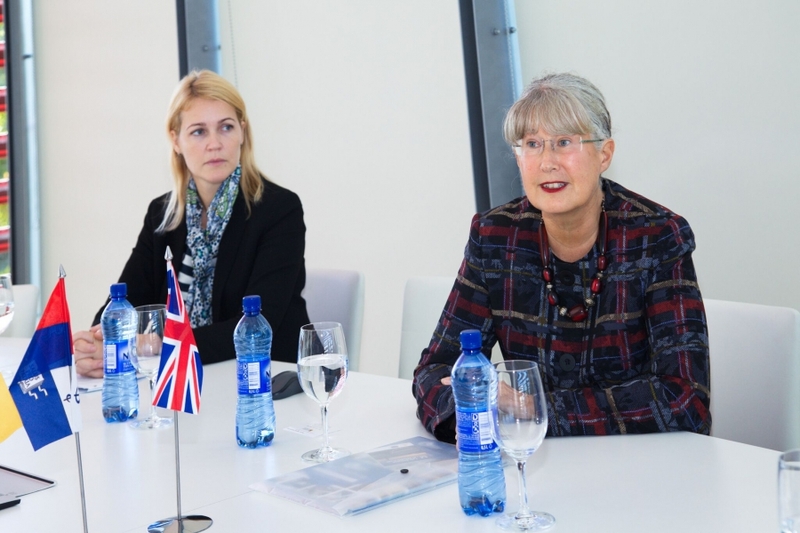 Another guest was a UK Embassy in Vilnius coordinator of science and innovation for the Baltic states Miglė Masaitytė. The aim of the visit was to learn more about the research activities at the University, major projects, innovations that are being implemented, to make closer contacts, to find out the areas in which the University would like to cooperate. The guests were met by a large group of the LSMU representatives, who presented the LSMU and Kaunas Clinics activities, the main projects that are taking place at present and other international initiatives. 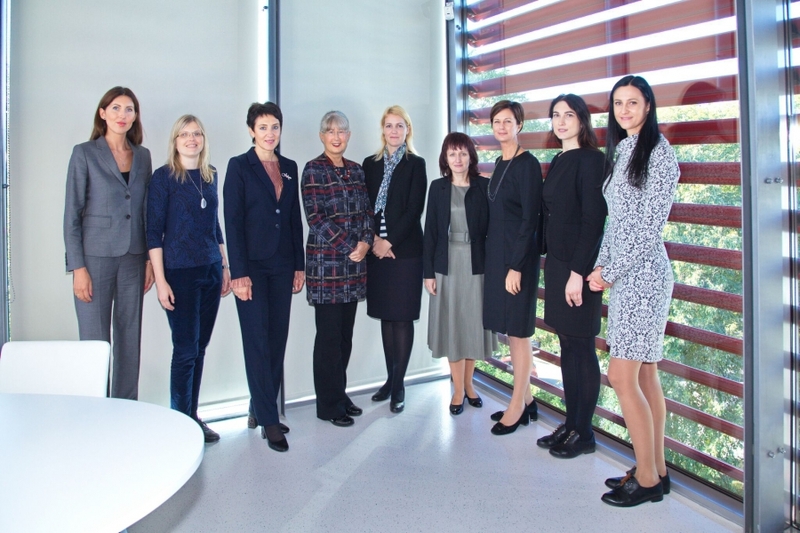 Kaunas Clinics Director for Public Health, Research and Education PhD. Tomas Lapinskas, LSMU International Relations and Study Centre Dean Prof. Ingrida Janulevičienė, Head of Development Department Laima Matusevičienė, Head of the Department for Development of Health Innovations Justina Januševičienė, Dean of the Faculty of Nursing Prof. Jūratė Macijauskienė, Vice-dean of the Faculty of Nursing Prof. Daiva Petruševičienė andHead of Oncology Research Laboratory Assoc. prof. Rasa Ugenskienė met the guests. Prof. Jacqueline Oldham, who read a presentation in the international forum “Life Sciences Baltics”, is also a Director of Strategic Initiatives at Manchester’s Oxford Road Corridor. During the meeting with the University representatives, the guest introduced the institutions she represents and invited the LSMU to cooperate in performing research which seeks to enhance healthcare, health and reduce costs. The guest was interested in the University and Kaunas Clinics experience, clinical research, personalized medicine and diagnostics as well as advanced medical technologies. The Professor was happy with the patented discovery of the specialists from Ears, Nose and Throat Diseases Clinic at Kaunas Clinics, which helps to detect the early stage of larynx cancer. The Professor believes that it would be possible to cooperate with the LSMU in performing epidemiological observation research as well as in the fields of oncogenetic and nursery research. Prof. Jacqueline Oldham invited the LSMU representatives to take part in the Congress, which will take place in March, 2019 in Manchester, to organize workshops and meet the representatives from the fields in which the LSMU would be interested to cooperate.